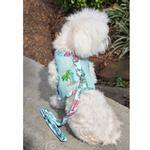 Your pup will feel like hanging ten on the beach in this stylish Surfboards and Palms Cool Mesh Dog Harness with Matching Leash. 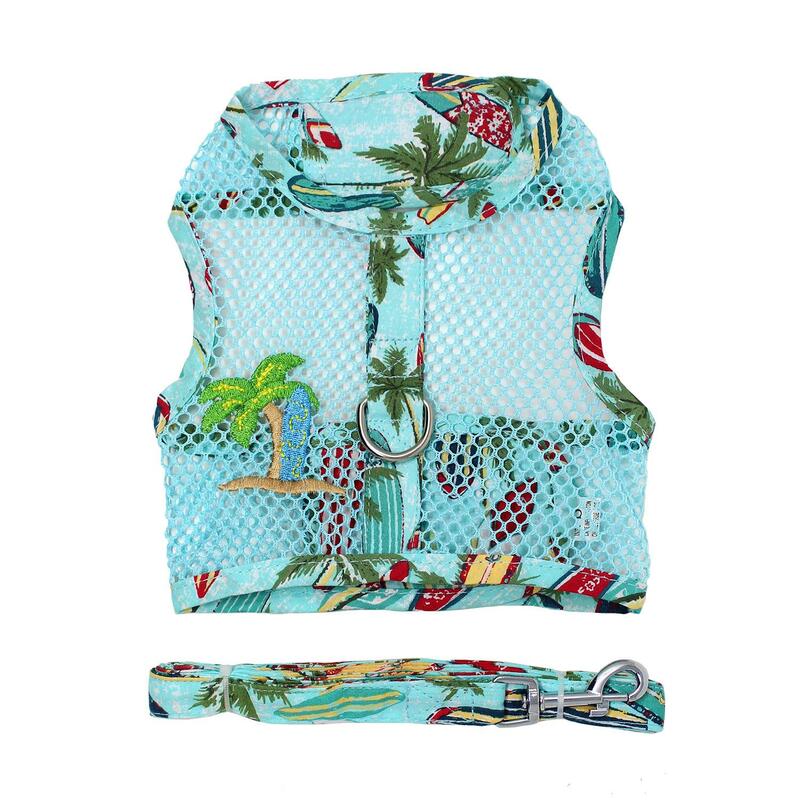 This Surfboards and Palms cool mesh harness by Doggie Design will help your pup beat the dog days of summer by staying cool with this breathable breezy style. 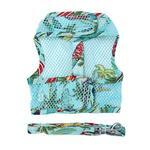 Our Cool Mesh Dog Harnesses feature soft-but-strong wide gauge mesh accented by summer-themed embroidered patches. 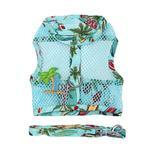 This harness is particularly fun with a stylish surfboard and palm tree design that's paired with a matching fabric trim. To make sure your pup is outfitted from head to paw, this adorable harness includes a matching leash! Style doesn't take a back seat to safety, though. 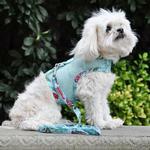 Even though the mesh seems lightweight to keep your pup from overheating, it is surprisingly durable for being so soft. Additionally, the welded D-ring has been reinforced with a sturdy double box stitch. Heavy-duty touch fastener at the neck and chest provides strength and a nice amount of adjustability. Keep in mind that as the mesh is very flexible, you might want to choose a slightly more snug size if your pup is measuring between sizes for added security. Do factor in coat fluffiness too! Be sure to capture all of your spring and summer adventures and send in your photos! I like buying special things from here. Plus very nice sales.